There are two approaches to treating facial wrinkles. The first approach is to block the nerve signal to the muscle that tells the facial muscle to contract. The second is using dermal fillers, which are a category of injectables that fill in existing moderate to severe wrinkles and lines. Choosing which approach is right for you depends on the region being treated and the depth of the lines or wrinkles. In many cases, patients will have both Botox (or Xeomin) administered simultaneously with facial fillers. Dermal fillers work by puffing up weakened facial features and depressions and simultaneously encouraging the body to naturally reproduce its own collagen. The result is a decrease in moderate to severe facial wrinkles, a restoration of volume, and an overall youthful appearance. We offer 5 different types of dermal filler options at North Shore Center for Plastic Surgery. Each dermal filler is different in its chemical composition, consistency, ideal placement, & desired result. Drs. Lin & Dr. Cohen-Kashi can help guide you as to which dermal filler is right for you during your consultation, but you can also learn about the different options we offer by clicking on the name below. 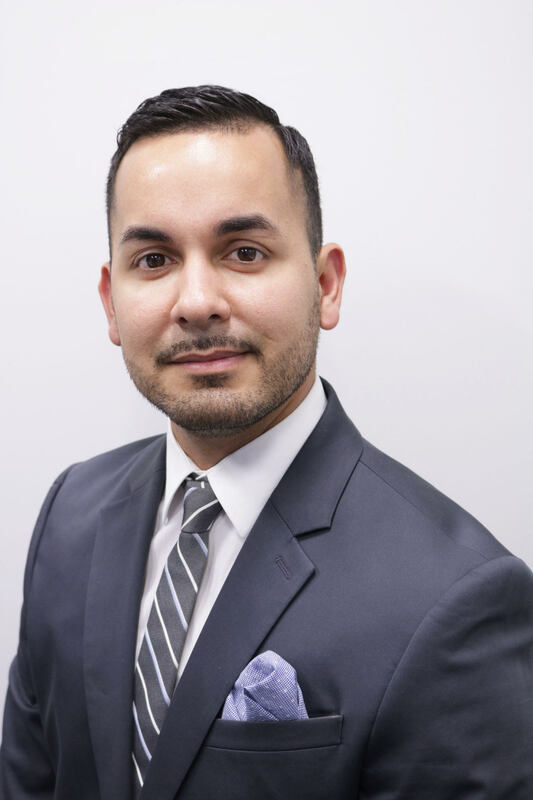 Andres Melo is North Shore Center For Plastic Surgery’s Physician Assistant (PA) who specializes in the latest aesthetic injectables and skin care. He has been practicing medicine and perfecting the art of cosmetic injectables in the Long Island/Queens area for over half a decade. Over his medical career he has trained under some of the top plastic surgeons and dermatologists in the US and Colombia. Andres began his studies at Binghamton University in upstate New York where he obtained his Bachelor’s degree in Biochemistry. He then proceeded to finish his medical training at Touro College where he was awarded a master’s degree in Health and Physician Assistant Studies. Andres Melo is certified by the National Commission on Certifications of Physician Assistants (NCCPA) and licensed to practice in the state of New York. Juvederm is a safe, effective, and FDA approved hyaluronic acid facial filler. It’s administered by a tiny needle and works by adding volume to depressions or wrinkles on the face. What areas of the face are ideal for Juvederm? Juvederm is ideal for treating areas of the face such as the creases between your eyebrows, the lines that form from the top of your nose to your mouth (also called the nasolabial folds), squint lines (crow’s feet), and the vertical lines that can form between your eyebrows. You may have noticed that these are similar to the regions that Botox® is appropriate for treating. Choosing between using Botox® vs. Juvederm is dependent on how deep your facials lines are. Dr. Lin and Dr. Cohen-Kashi can discuss which non-surgical approach is appropriate during your consultation. How long will my Juvederm last? On average, Juvederm lasts for about six months. However, it’s longevity depends on the person and the area being treated. Radiesse is a type of facial filler used to treat wrinkles and folds that can appear around the nose and mouth. It’s a safe, effective, FDA approved procedure and is administered using a series of tiny injections. Radiesse works by adding volume to smooth out wrinkles and facial folds. The results from Radiesse are immediate, but also continue overtime through a process called, “Collagenesis”. Radiesse contains smooth microspheres, injected into the skin through a simple, safe, injection. These microspheres stimulate collagen production in your body and encourage collagen to re-grow in the injection area. How long will my results from Radiesse last? The duration of the results can vary, but Radiesse can last up to one year. Will I experience any downtime with Radiesse? No. Patients can return to work and normal activities immediately. Belotero® is a safe, effective, hylauronic acid-based facial filler that reduces the appearance of lines and wrinkles, while restoring facial volume and rehydrating skin. What areas of the face are ideal for Belotero? How long will my Belotero last? Patient results may vary, but Belotero may last for 6 months or more. Some patients have reported mild discomfort. Is there any downtime with Belotero? There is little to no downtime associated with Belotero; many patients return to work immediately after Belotero. Juvederm Voluma (Voluma for short) is a safe, FDA approved facial filler that revolutionizes volumizing, lifting, and facial contouring fillers. Voluma is made of a thick, hylauronic acid gel that adds volume to the areas of the face that deflate as a result of aging. Voluma can restore volume in the cheeks, cheekbones, nasolabial folds, and around the chin. In fact, Voluma is the only volumizing facial filler approved by the FDA to specifically target the midface. Voluma is the longest lasting FDA-approved facial filler, resulting in visible improvement for up to 2 years or more. Voluma is pre-mixed with lidocaine (a local anesthetic) for patient comfort. Most patients report mild pressure. Is there any downtime with Juvederm Voluma? Patients may experience some tenderness, swelling, or bruising following the procedure; although they can usually return to work the next morning. Fat grafting, also known as a fat transfer, is a surgical procedure where fat is removed through liposuction in one or multiple areas of the body, refined, purified, and then re-injected into another area of the body as a filler. With regards to the face, after fat has been removed and purified, it can be re-injected into the face and can fill in lines, wrinkles, and facial depressions. The downside to a fat transfer is that you may require multiple treatments, because when fat is injected, some of it gets reabsorbed back into the body. Therefore, to avoid placing too much filler in at once, Dr. Lin and Dr. Cohen-Kashi may suggest multiple treatments with a more conservative amount of fat injected, so you’ll achieve the most natural result in the end.